Chicago-area teachers look at bacteria colonies in a Petri dish at the Museum of Science and Industry. The Museum runs courses to help teachers get better at teaching science. In a science classroom across from the coal mine exhibit at the Museum of Science and Industry, the students are sitting at high lab tables, studying Petri dishes full of bacteria. At the front of the room, the teacher explains the lesson’s objectives—compare animal and bacterial cells, review pathological and non-pathological bacteria. But there is a broader goal here, one the Museum of Science and Industry wants to help achieve: improve science teaching in Chicago and its suburbs. The students here are all teachers, all responsible for imparting science to upper-elementary or middle-school students. It’s a job that many in this class—and many teachers in many grammar schools--feel decidedly unprepared for. Once a month. Spears and dozens other teachers enrolled in this professional development course come to the museum for a day of lessons, curricula, and materials they can then take back to their classrooms across the Chicago metro region. Since the teacher training courses were first offered in 2006, 804 teachers from 320 schools have participated. About two-thirds of teachers are from Chicago public schools. Many of the teachers say they’re trying to tap into the natural enthusiasm kids have for science—when it’s taught right. On a recent morning, the Museum of Science and Industry instructor runs a lesson exactly as if she&apos;s teaching middle schoolers. The teachers put themselves in their students’ shoes. They work activities, make Venn diagrams, and then get to the fun part: an experiment with black light and Glo Germ that exposed bacteria still present on their hands, even after washing. Near the back of the class, teacher Jonathan Fisher looks at a cell diagram before him and admits this is the first time he has seen flagella since high school. The philosophy major avoided the life sciences in college. Now—ironically, he says—he’s teaching the subject to fourth graders. He says he can implement certain techniques and lessons almost as soon as he learns them. Others, like a genetics lesson his students loved, take more planning. 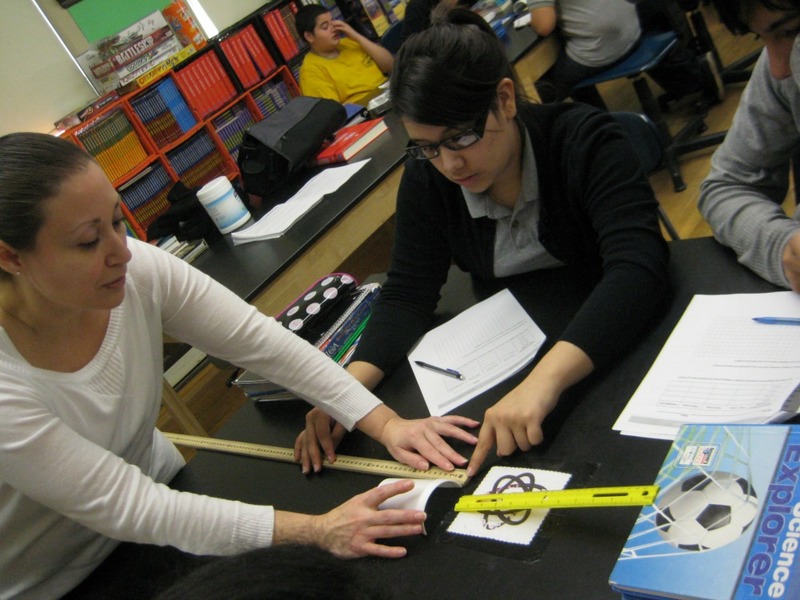 There’s been a big push lately to improve the teaching of science in American schools, with more focus on STEM education— Science, Technology, Engineering and Mathematics. Andrea Ingram, the Museum of Science and Industry’s vice president of education and guest services, says museums can play a role in that. Ingram says museums across the nation are important partners in improving science instruction, especially given tight school budgets. They are popular with philanthropic, business and civic leaders. They can fill specific needs that may vary community by community. And where else can you find tornados, lightning, and real cow eyeballs to dissect? Richie says the role museums are playing in science education has increased with a new national emphasis on STEM education. Ironically, in an age of shrinking budgets and more dictates over how much time students must be in the classroom, Richie says schools take fewer field trips. This is a way of getting the museum into schools. 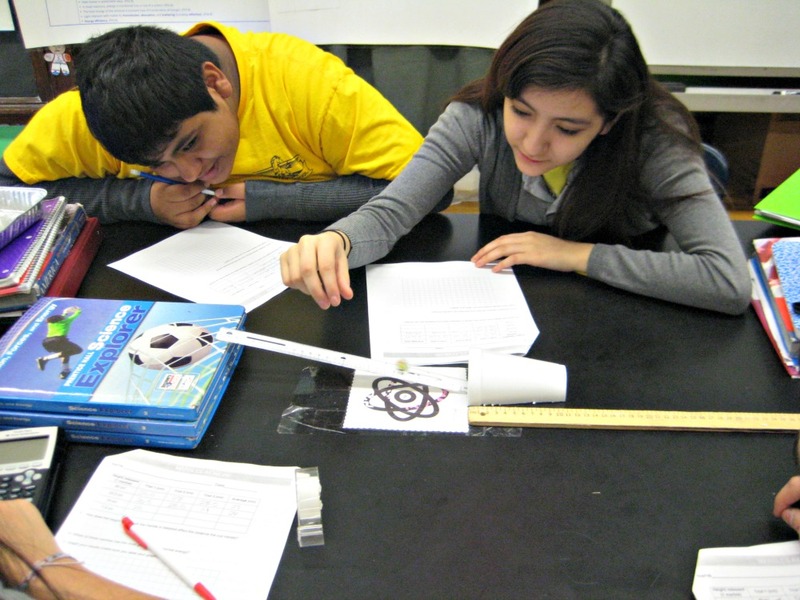 In Graciela Olmos’ eighth grade classroom at Sawyer Elementary on Chicago’s Southwest Side, kids are rolling marbles down incline planes, measuring how far the marbles push a little Styrofoam cup. Olmos first saw this lesson about mechanical energy at the museum. Olmos says she’s used to being told to teach to higher standards. The museum has shown her how. Olson, who is also president of the Association for Science Teacher Education, says she’s been advocating for years for schools to have science specialists. “It’s like the PE teacher,” says Olson. “You have one teacher who’s dedicated to that particular subject area, and that way the teacher can be very well prepared in that area and doesn’t have to take on literacy instruction, math, in these other areas." A study of the Museum of Science and Industry’s teacher training program is being released today by well-known science curriculum expert William Schmidt, of the Education Policy Center at Michigan State University. It finds the teachers trained by the museum know more science—and, significantly, so do their students. The Museum is marking the news of its success with an announcement—it’s committing to train 1,000 middle-grade teachers in science over the next five years.